Posted by Thanh Tran on January 20, 2012. 1 min read. My going back to Flash to experiment on Stage3D. The animation make use of Flare3D engine. Thanks to its built-in shaders and particles components, I was able to create the fireworks and the lightning effects without much trouble. 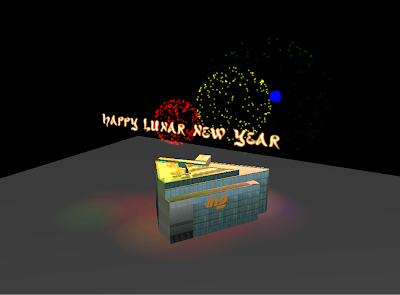 However there's still room to improve the fireworks effect with more particles.